Reno FIRS 155g match Ball - Excellent quality match ball, stocked in blue. Approved for use in the Spanish league and FIRS events. Reno 113g junior ball - A ligher weight orange ball with all the characteristics of the FIRS match ball above. Ideal for the younger player! Roll Skater Super Match Ball - Italian brand match ball. Available in colours shown below. Skater Classic urethane long lasting Toe stops - The only toe stops now available for Skater plates! Long life stoppers with an all new compound allowing superior stopping power & better wear. Brilliant white. Shown below left. LAST PAIR IN STOCK. TVD Pair Toe Stops - Superior upgraded with a longer screw and improved wear characteristics. Screw in toe stops to fit all TVD plates - grey. Above right. Boiani Pair Toe Stops - Screw in toe stops from Boiani to fit most skate plates with adjustable stoppers. Reno Pair Toe Stops - White toe stops to fit all screw in skate frames. shown above left. New colours in stock, Yellow, blue and rubber. 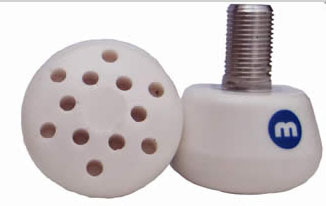 Reno & DAC polyurethane hockey toe stops - The new polyurethane toe stops are extremely long lasting. Made with the center Allen screw to tighten. Pictured above right. New picture to follow. Finest quality, screw in stoppers from the Roll Line mark. all stops have rubber content. Colours natural rubber, coral red, blue or white. Roll Line Pair Professional Artistic Toe Stops - Finest quality, screw in stoppers from Roll Line of Italy. All toe stops have rubber content, stocked in coral red, white, new pink, natural rubber & blue. US Imperial thread now stocked at £18.00 a set. Colours white, natural rubber, new blue & coral red. 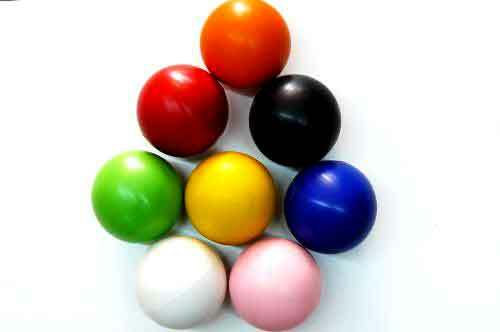 Similar shape to 'Gumball'. New Komplex 'Angel' wheels now stocked. See wheels section. Jet polyurethane hockey toe stops - New stock, the polyurethane toe stops are extremely long lasting and come in 2 fluorescent colours, orange or yellow. Roll Skater Diamont Crystal locking wheel nuts - Sets of 8 stunning 7mm nylock wheel nuts. No1 £32.00, In blue or gold set with 5 pink crystals. No2 sold out. No3 sold out. No4 £39.00, gold set with 5 large and an inner row of smaller lilac crystals. Also in stock blue or violet. No5 £48.00, Large nuts, set with 3 extra large diamont crystals and an outside row of crystals, now in gold. Suitable for artistic, show, derby & free skaters. Komplex 'Angel' wheels now stocked. See wheels section. Long life stoppers with an all new dual compound giving superior stopping power & better wear! Ideal for TVD and Reno skates. Pictured above. Bearings Precision - 16 top quality, open cased bearings for easy maintenance and cleaning. Each set comes complete with dust covers. Bearings ABEC 5 - set of 16 full cased bearings - for skates with 8mm axels. Bearings Komplex Carbon Black - 16 ABEC 5 rated. Top quality half shield 7mm skate bearings with carbon ball races allowing an easier wheel roll. New lower price! Bearings Roll Line 'Carbon J' ABEC5 - Back in stock the original Carbon J, 7mm bearings. Bearings Roll Line 'Speed Race' ABEC9 - The best! 7mm bearings. Steel outer rings, Polymer watertight shield, with a crown cage ring made of self-lubricating material. These are top quality bearings. pictured above left. Bearings Roll Line 'Speed Max' Mini - A set of 16, ABEC9 rated mini, full precision skate bearings, housed in an alloy case to fit all Roll Line wheels and quad skate frames with 7mm axels. Extensively tested in Italy by A1 hockey players. All endorsed the positive qualities of the bearings for ease of roll and longevity. Well worth a try to get the edge you need! Pictured above right. 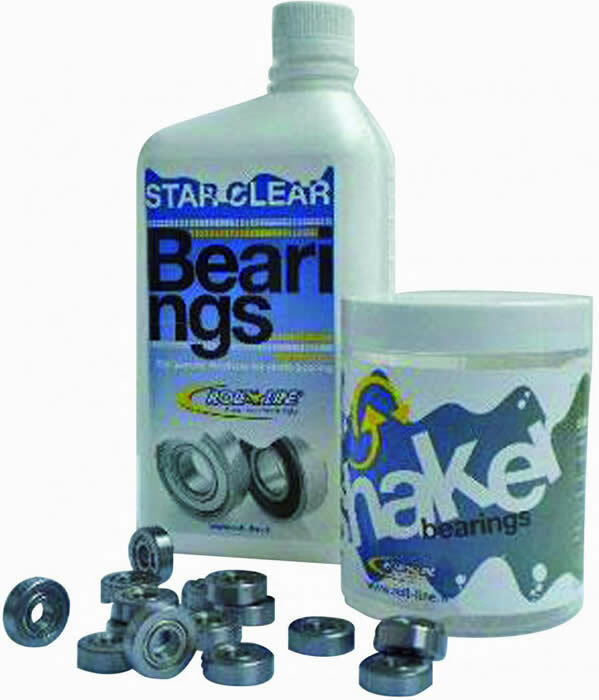 Roll Line Starclear Bearing cleaner - New kit to clean half shield or open case skate bearings. Supplied with 1000ml cleaner and a shaker basket. Add 200 - 300ml of the liquid degreaser to the shaker, then add up to 20 bearings. Soak for 5 minutes, shake gently if needed, remove strainer tub and let bearings dry. Once dry add a drop of Roll Line BAT oil £6.00 to lubricate. The liquid degreaser can be reused many times, if dirt settles, filter and relace in jar. Roll Line BAT Oil - A top quality Roll Line bearing oil, for use after cleaning. One drop per bearing is all you need to give you free wheel roll. Not pictured. Roll Line bearing press - New Line! 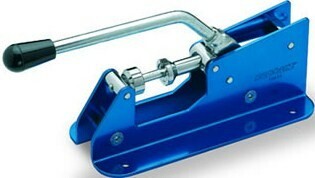 7mm skate wheel bearing press and extractor. A top quality product to fit wheel bearings into the wheel hub. With most new spoked wheels having a very tight bearing fit ensuring smooth skating, it's best to fit the bearing correctly. Can be used on 8mm bearings as well. The end hook pulls all bearings out easily and without damage. 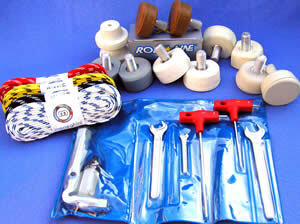 Roll line - Boiani - TVD - Reno - Roller One fixing kit - A set of nuts and screws to attach or refix the skate frame to the boot. Queen - Skater fixing kit - A set of flat top nuts and screws to attach or refix the skate frame to the boot. 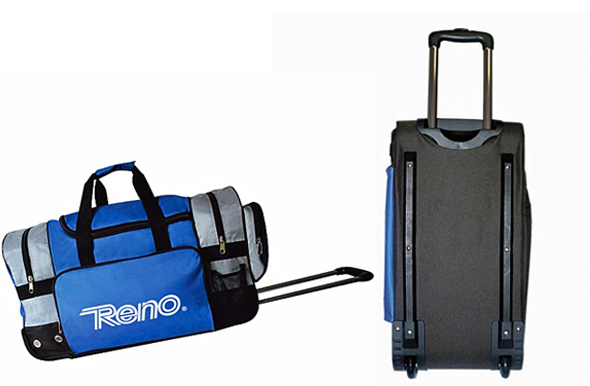 Reno - Players Wheeled bag - The newly upgraded medium size players bag has a large base cassette to store boots and wet kit. A large main upper compartment holds all other equipment plus 2 additional large side pockets for everything else. Colours green, navy blue, royal blue, red or black. pictured above. Dimensions 52cm x 30 x 35. Now sold with silver handles. 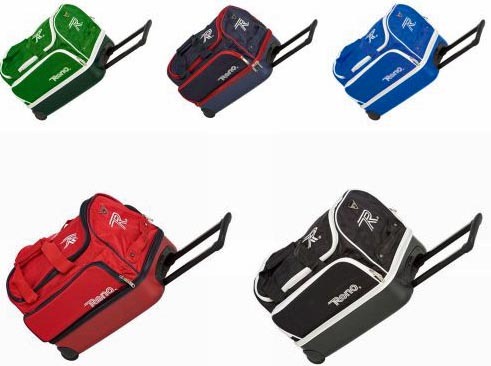 Reno - T80 and T60 Players wheeled bags - 2 all new players wheeled bags at unbeatable prices! Both bags benefit from a large central lockable, strong zippered compartment. 2 end pockets, large side pocket and an additional webbing bottle holder, as shown above. The bags also feature a shoulder carry strap. Colour blue/silver/black. T80 dimensions 60 x 30 x 36. T60 junior 50 x 30 x 34. The T60 is ideal for younger players! Reno - 2 Stick Bag - Generous box structured bag for 2 sticks. 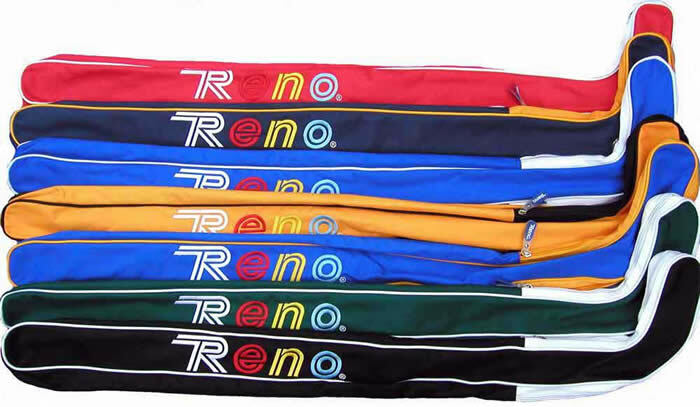 Available in 7 different colours for ease of identification and embroidered with the multicoloured Reno logo. meneghini Players wheeled bags - Just arrived new large players wheeled bags at an unbeatable price! The tough bags benefit from a large zippered base compartment to store boots and kit. The large top compartment has an additional zippered pocket to store wet kit, towel, socks etc. All zippers have the new meneghini flexible stick feature. As well as the trolley handle, the bags have 2 additional carrying handles. Overall dimensions 60cm long x 35 wide x 43 deep. Colours blue/white, black/yellow and red/white. If you want a generous sized kit bag, then this is the one to choose! meneghini 12 stick bag - All black with embroidered meneghini logo. A tough lightweight bag for up to 10 hockey sticks. meneghini 2 stick bag - Blue, black or red with white piping and an embroidered meneghini logo. A tough lightweight stick bag. Azemad players 3 stick flourescent stick bag - New stock, generous stick bags, that hold up to 3 sticks in either bright yellow or pink flourescent colours. Select from International, Spanish, Italian, Portuguese, European and World Championship matches. Call for the latest selection. 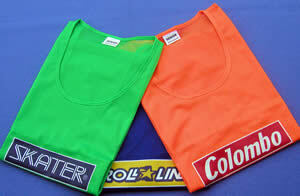 meneghini training Bib - Pack of 4 - senior airtex ventilated, round necked training bibs .Each pack contains one colour: Orange or Green. Updated picture to follow. 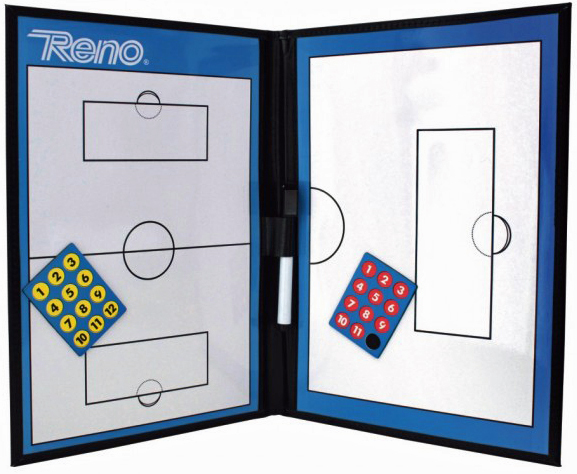 Reno tactics board - Just what coaches have been waiting for! Pictured below a magnetic mini rink laid out with the latest markings both as a full and half size. Size 35 x 50cm open, included a pack of 2 colour magnetic player counters, black ball and wipe clean pen. Plan your moves as the game progresses! Captains Arm Band - Arquer brand, direct from Spain the distinctive arm bands come in red, blue, white, green, yellow or red/yellow Catalan colours as shown below. 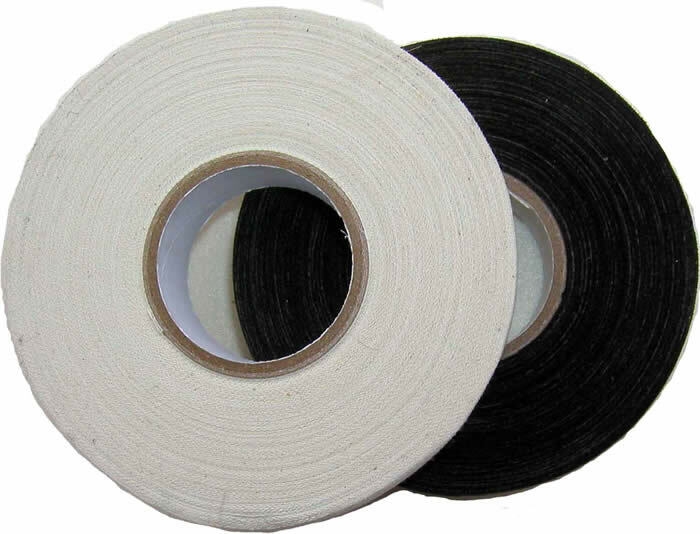 Skate Laces - Roller One 3 metre laces, various colours in stock. 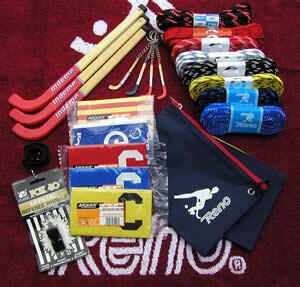 Reno Skate Laces - Reno 3 metre laces, various colours in stock, including new fluorescent green, orange or yellow. Shown below. New fluorescent PINK now available, not shown. Reno boot polish - Finding it hard to match your boot colour? 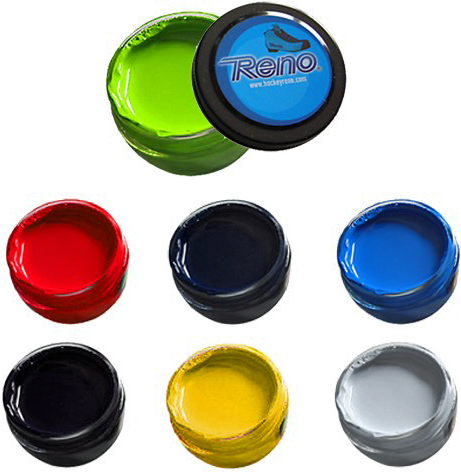 Reno now produces a range of leather creme polishes in blue, navy blue, yellow, red and green. Get a jar at £3.00 and start polishing! Boot Inner Soles - meneghini or Roller One, all sizes to UK 12 (47) stocked. Goal Nets - Italian made nets of the highest quality. Set of two nets including back drop net. offered at a new low price. Everybody wants to feel good about themselves, and sporting a rolex replica sale is one way that people attempt to increase their self esteem. Not only are cars, houses, and clothes representative of one’s lifestyle and social class, but one’s replica watches uk is also a symbol of how far they have gotten in life. Several luxury brands that most people are familiar with include rolex replica sale, Omega, and Cartier. For every type of accessory, there are extravagant, over the top models of it. There is no exception when it comes to watches. One lesser known replica watches producer, Patek Philippe, has created several watches with incredible values. The 1939 Platinum World Time replica watches sale sold for more than four million dollars. Another watch, the 1953 Model 2523 Heures Universelles, was eighteen carat gold and sold for almost three million dollars.